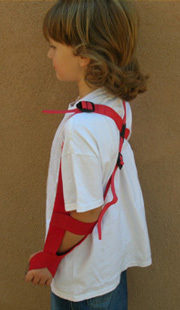 The GivMohr Pediatric Sling provides the same benefits as the GivMohr Sling in a size that is appropriate for most children weighing 45-70 pounds. It is priced the same as our other slings and is worn exactly the same way. 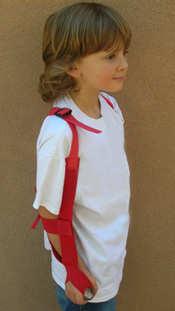 Order the GivMohr Pediatric Sling Online!